Engineering, Procurement, and Construction (EPC) in the solar energy sector is a contracting arrangement which makes the EPC contractor responsible for all the activities from design, procurement, construction, to commissioning and handover of the project to the end-user or the asset-owner. Decision-making is one of the most important aspects of any industry. The solar sector is no different from this convention. 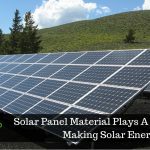 To safeguard the interests of the end-user or the owner, let us dissect a few factors that must be realized while procuring Solar EPC Services. 1.Solar projects embrace a wide range of components. And for each component, options are many in consideration with quality and cost range. 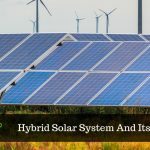 When you define an exhaustive scope of supplies and services, from solar panels to connections, your plant is ensured to have a long, prosperous life. Beware of contracts only in terms of solar capacity without any information handed over for number, capacity and make of solar modules, inverters, etc. Also, keep into consideration the quality aspects of the EPC processes. 2.The norm to put any solar project together is usually 90 days for a 100-kW project from the date of order and advance payments. The EPC contract should clearly mention a timeline and penalties for delay—typically 0.5% per week. Beware of contracts that do not mention timeline and/or penalties for impediment. 3.Savings and paybacks run collaterally with solar projects. Every EPC contractor shows a graph of savings and payback based on electricity generation, which is unfortunately exaggerated very often. A good contractor guarantees the specified amount of electricity generation, and a good contract successfully covers that. Now solar energy is based on the sunshine, and sun rays cannot be guaranteed. So, the EPC contractors typically guarantee a Performance Ratio, as per which if the sun is shining normally, a minimum amount of electricity is guaranteed. An interesting point to consider at this point is that an EPC contractor can only guarantee generation if he is also performing O&M on the plant. So, either your EPC contractor needs to enter an O&M agreement as well or must possibly guarantee generation over a few weeks or months so that a confidence of minimum generation can be concluded. 4.Terms and conditions, and the payment amount can get tricky if you do not pay proper attention to taxation, returns, and exclusions. There might be hidden exclusions or confusing clauses in the EPC contract, like unloading of equipment, documentation, and fees for statutory clearances that one needs to be beware of. The best course is to make everything all-inclusive. 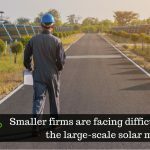 The number of solar EPC providers are many, and deciding which one to choose for building the best solution must be taken seriously in a circumspective manner. These 4 aspects will help you in your quest to find the ideal solar EPC partner.